The second day of the Lord's Test between India and England was also severely affected by rain, but James Anderson came back stronger to restrict India to 107 in the first innings. Ravichandran Ashwin showed some stomach for the fight by scoring 29 runs before Stuart Broad trapped him LBW. Brief scores: India 107-all-out ( Ravichandran Ashwin 29, Virat Kohli 23; James Anderson 5/20, Chris Woakes 2/19) vs England at Day 2 stumps. Both captains chose extremely different routes in the game as England packed their team with as many as four proper pacers, India opted to include Kuldeep Yadav in place of Umesh Yadav. 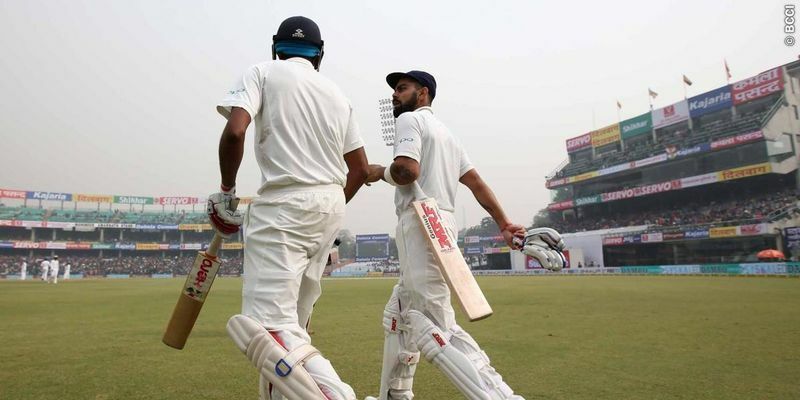 And eventually it turned out to be an inspiring decision as rain and overcast conditions helped England pacers and James Anderson sent Murali Vijay and KL Rahul back to the hut to give India a sign of what lay ahead for them. While Anderson resorted to his strategy of bowling only outswingers, Vijay was convinced to let it go to the keeper. But one ball that was pitched on off and middle swung away a touch to which Vijay failed to defend across the line and lost his woodwork. Cheteshwar Pujara, who made a comeback to the team, also seemed uncomfortable against the probing lines of Anderson and Stuart Broad. But a mess-up by the Indian skipper meant he had to depart being run-out. After continual rain intervention, rain gods finally relented to give some respite to the fans, but after that, it was James Anderson all the way as his fifer wiped India’s hopes and eventually bundled them out for a modest 107 runs in the first innings.